One of my favorite yoga teachers likes to say after particularly difficult poses in Bikram, have no reaction, just stand still. I’ve been thinking about how “having no reaction” seems like good Stoic practice for dealing with various frustrations in academic publishing. A couple days ago I received a rejection from a top-tier journal on a paper that I’m pretty excited about. The reviewer said that my paper does not talk about one particular thing that everyone who writes on x has to talk about and that my lens for interpretation is not the useful key that I think it is. I do not think that x is that important to my reading or even really to the questions I am addressing and so I have no interest in talking about it. I do think my lens is a useful key. As I was reading the review, at first, I felt my blood beginning to rise. Then, my yoga teacher’s mantra occurred to me: have no reaction. I began to think about what it might mean to consider this response as information that the field gives about what it is like, but that positive or negative feelings do not need to be had in response to that information. Just stand still. On December 30, 2017, NPR ran a story about a write-up for Scientific American that a marketing professor did on his research into the reasons men are less likely to engage in environmental activity than women. His earth-shattering conclusion was that men think that caring for the environment is not manly. His recommendation was to market caring for the environment as more manly. I volunteered to review this book for a scholarly review site in a field that is adjacent to mine. I was asked to rewrite it because it did not accord with the standard ways of speaking about Aristotle. I pulled the review and am publishing it here. I mention this background because I think it is worth noting how deep a hold the traditional approaches to Aristotle have. This hold makes people assume there is no more interpretation to be done on Aristotle. It makes some scholars resistant to new and fruitful approaches that recover Aristotle from scholastic approaches. It makes them assume that logic is clearly and obviously distinct from ontology and ethics. Aygün offers a careful reading of the text to challenge this approach to Aristotle and by doing so contributes to the growing scholarship that unsettles a tradition that takes these questions to be settled. It is a difficult and remarkable task to say something new about the whole of Aristotle’s philosophy. Such is the project Ömer Aygün undertakes in The Middle Included: Logos in Aristotle to argue that Aristotle is not a thinker of the excluded but the included middle. 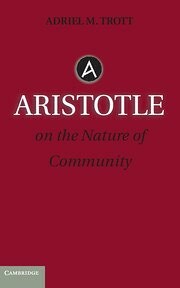 Aristotle is traditionally understood as the father of logic based on his articulation of the law of non-contradiction. The law of non-contradiction is both a logical and an ontological principle because Aristotle thinks that what is must be knowable, and insofar as it is knowable, it follows the principles of knowledge. The law of non-contradiction, that the same thing cannot be said to be and not be of the same thing in the same respect at the same time, is the most reliable principle of knowledge for Aristotle. But it is also a principle of being because it is not just that it cannot be said, but the same thing cannot be and not be at the same time and in the same way in a subject. The middle is excluded because if something is said to be of a thing there is no middle position wherein it could also be said not to be. The middle is excluded because what is and what is not must be held apart. Aygün offers a novel interpretation of this law by arguing that logos puts into relation that which is opposed and hence, is the middle that has traditionally been thought to be excluded. Logos, Aygün argues, joins what is opposed—contraries–without reducing or sublating what is opposed. The traditional language of Aristotelian scholarship understands logos in terms of logic as a formal system or speech as a mechanism for communicating personal thoughts to another. This language distances the contemporary reader from the richness of Aristotle’s language that shows the human being to be formed by logos in a way that conceives of the human as a being that draws the multiplicity of the world into a unity. The apparent strangeness of Aygün’s language is necessitated by the demand to make what we suppose is obvious in Aristotle become a question again. His account of logos makes the human being “the middle included,” because, through logos, which he describes as a mediation, a synthesis, and a stretching, the human being joins together the difference and multiplicity that constitutes the world.